What is the Eleven James Concierge? The Eleven James Concierge is a team of dedicated service professionals that responds to prospective inquiries and provides personalized service exclusively to members. How does Eleven James maintain its Collections? Eleven James regularly cleans and inspects all of our timepieces before they are sent to members.We also maintain insurance on all our inventory for damage, loss, and theft of watches. We encourage all members to consider additional insurance in the event of an incident. Should you experience any kind of difficulty with an Eleven James watch, contact the concierge as soon as possible to resolve the issue. 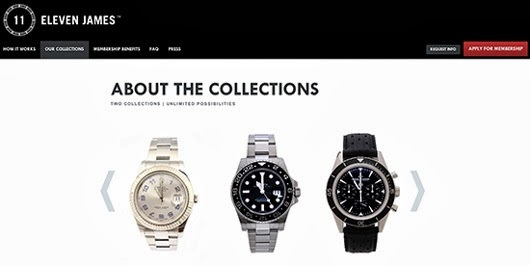 Can I see all the watches in each Collection? Only members can view the entirety of the Eleven James Collections. Please arrange a call with our Concierge to learn more about our Collections and becoming a member.